It is the 150th anniversary of the most notorious massacre in Afro-American history. It took place in Opelousas in the St Landry parish of Louisiana. Following the American Civil War (1861-65) there followed the era of Reconstruction when the 11 Confederate States were integrated with the North. It was an era in which the Black slaves were freed and in which the Southern White Supremacists attempted to cling on to their power. 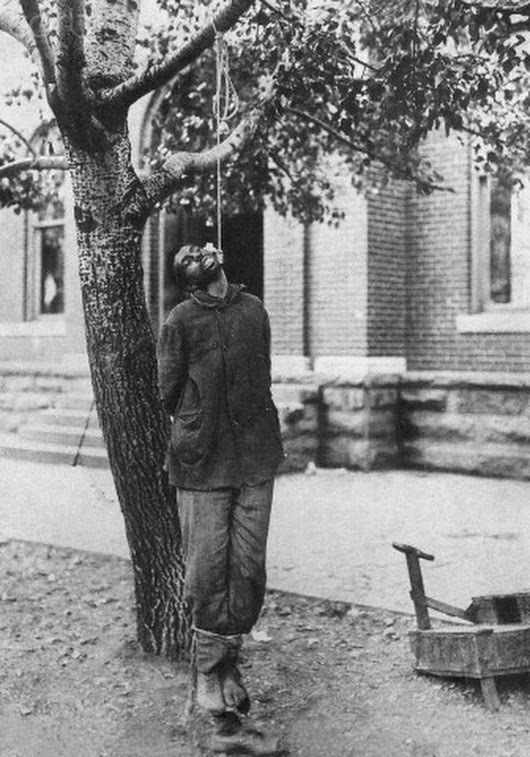 As Blacks were being enfranchised the old Southern White establishment reacted. 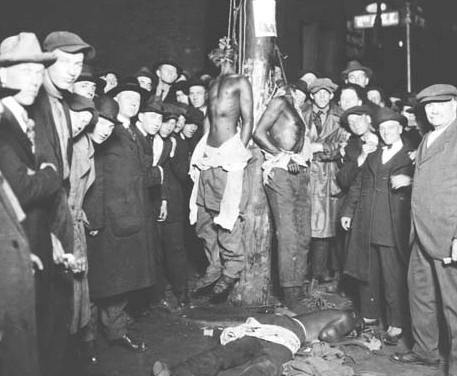 It was an era of the KKK and of many bloody massacres and lynchings. For those who see the Democrats as the left-wing or more progressive party it should be noted that in the 19th century it was the Republicans who were the integrationists and the Democrats who were the bastion of White supremacy and segregation. As late as the 1968 Presidential election Democratic segregationism was represented in American politics by George Wallace, the 3rd party candidate and former Governor of Alabama who won 13.5% of the vote in the Presidential election and 32 electoral college votes. He bears a number of similarities to Donald Trump. The St. Landry Massacre is representative of the pervasive violence and intimidation in the South during the 1868 presidential canvass and represented the deadliest incident of racial violence during the Reconstruction Era. 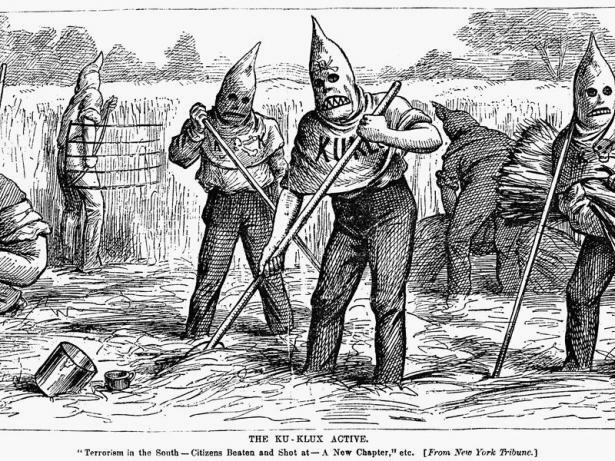 Southern conservatives used large scale collective violence in 1868 as a method to gain political control and restore the antebellum racial hierarchy. 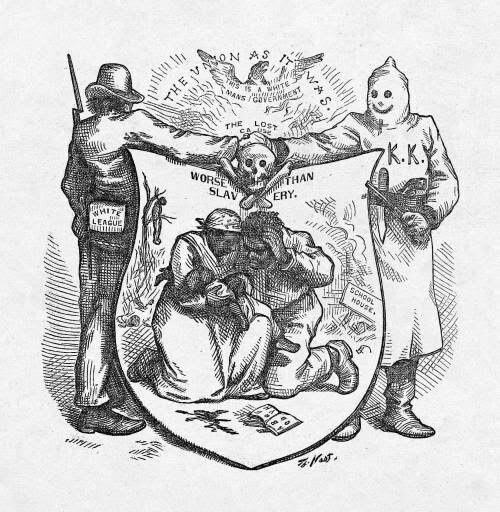 From 1865-1868, these Southerners struggled against the federal government, carpetbaggers, and Southern black populations to gain this control, but had largely failed in their attempts. After the First Reconstruction Act of March, 1867 forced Southern governments to accept universal male suffrage, Southern conservatives utilized violence and intimidation to achieve their goals, which escalated as the 1868 presidential election neared. Violence was nearly omnipresent in Louisiana during the presidential canvass and was the primary reason behind the Democratic victory in the state. So read the note found on the schoolhouse door by its intended recipient: Emerson Bentley, a white school teacher. He found the message in early September 1868, illustrated with a coffin, a skull and bones, and a dagger dripping with blood. The straightforward message represented a menacing threat to Bentley, who was teaching African-American children in Louisiana at the time. Little could the Ohio-born Republican have predicted just how soon that violence would come about. Bentley, an 18-year-old who also worked as one of the editors of the Republican paper The St. Landry Progress, was one of the few white Republicans in the Louisiana parish of St. Landry. He and others came to the region to assist recently emancipated African-Americans find jobs, access education and become politically active. With Louisiana passing a new state constitution in April 1868 that included male enfranchisement and access to state schools regardless of color, Bentley had reason to feel optimistic about the state’s future. But southern, white Democrats were nowhere near willing to concede the power they’d held for decades before the Civil War. And in St. Landry, one of the largest and most populous parishes in the state, thousands of white men were eager to take up arms to defend their political power. The summer of 1868 was a tumultuous one. With the help of tens of thousands of black citizens who finally had the right to vote, Republicans handily won local and state elections that spring. Henry Clay Warmoth, a Republican, won the race for state governor, but the votes African-Americans cast for those elections cost them. Over the summer, armed white men harassed black families, shot at them outside of Opelousas (the largest city in St. Landry Parish), and killed men, women and children with impunity. Editors of Democratic newspapers repeatedly warned of dire consequences if the Republican party continued winning victories at the polls. The vigilante groups were so widespread that they often included nearly every white man in the region. One Democratic newspaper editor estimated that more than 3,000 men belonged to the Knights of the White Camellia of St. Landry Parish—an area that included only 13,776 white people in total, including women and children. With the approach of the presidential elections in November, the tension only increased. On September 13, the Republicans held a meeting in the town of Washington, not far from Opelousas, and found streets lined with armed Seymour Knights. A misfired rifle nearly caused a riot to break out, but in the end, everyone departed peacefully—though the Democrats threatened Bentley if he failed to publish an “honest” account of the event in the St. Landry Progress. Sure enough, they used Bentley’s account, in which he wrote the men had been intimidating the Republicans, to instigate a wave of violence on September 28, 1868. Displeased with the way Bentley had portrayed the Democrats, Democrats John Williams, James R. Dickson (who later became a local judge), and constable Sebastian May visited Bentley’s schoolhouse to make good on the anonymous threats of the earlier September note. They forced him to sign a retraction of the article, and then Dickson savagely beat Bentley, sending the children who were sitting for lessons scattering in terror. Rumors spread, and soon many Republicans were convinced Bentley had been killed, though he managed to escape with his life. As a small number of African-Americans prepared to rescue Bentley, word spread around the parish that a black rebellion was imminent. Thousands of white men began arming themselves and raiding houses around the area. On the first night, only one small group of armed African-Americans assembled to deal with the report they’d heard about Bentley. They were met by an armed group of white men, mounted on horses, outside Opelousas. Of those men, 29 were taken to the local prison, and 27 of them were summarily executed. 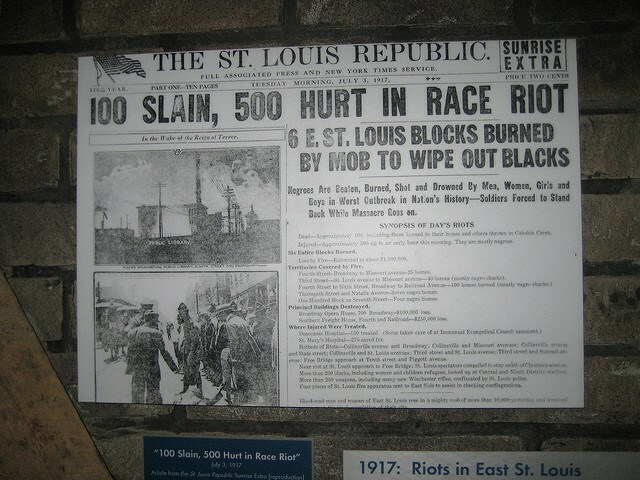 The bloodshed continued for two weeks, with African-American families killed in their homes, shot in public, and chased down by vigilante groups. C.E. Durand, the other editor of the St. Landry Progress, was murdered in the early days of the massacre and his body displayed outside the Opelousas drug store. By the end of the two weeks, estimates of the number killed were around 250 people, the vast majority of them African-American. When the Bureau of Freedmen (a governmental organization created to provide emancipated African-Americans with legal, health and educational assistance and help them settle abandoned lands) sent Lieutenant Jesse Lee to investigate, he called it “a quiet reign of terror so far as the freed people were concerned.” Influential Republican Beverly Wilson, an African-American blacksmith in Opelousas, believed black citizens were “in a worse condition now than in slavery.” Another observer was led outside the town of Opelousas and shown the half-buried bodies of more than a dozen African-Americans. “St. Landry Parish illustrates the local shift of power after 1868, where an instance of conservative boss rule occurred and the parish Republican Party was unable to fully recover for the remainder of Reconstruction,” writes historian Matthew Christensen. There would be no Republican organization in the parish for the next four years, and no Republican paper until 1876. 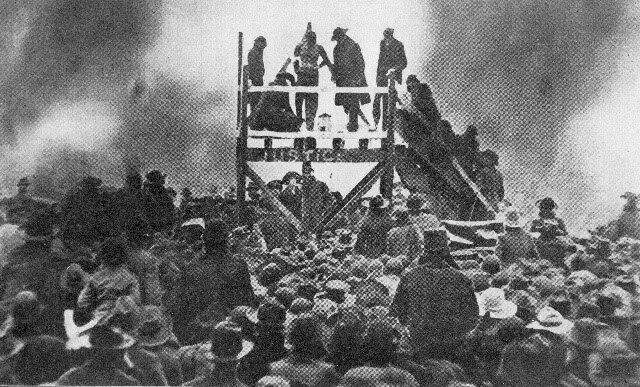 Yet for all that it was the deadliest instance of racial violence during the Reconstruction period, the Opleousas massacre is little remembered today. Only slightly better known is the 1873 Colfax massacre in which an estimated 60 to 150 people were killed—a massacre largely following the pattern set by Opelousas. 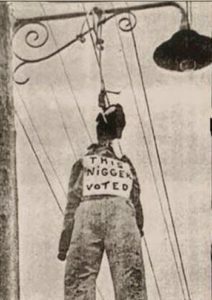 See also White Mob in Opelousas, Louisiana killed nearly 300 Blacks Over The Right To Vote. I feel in awe writing this appreciation of one of the most dedicated Jewish anti-Zionists to have remained in Israel. Tikva Honig-Parnass was a member of Matzpen, the Socialist Organisation in Israel, almost from its inception in 1962. She was and is a Trotskyist, a member of the United Secretariat of the Fourth International, though it is fair to say that her relationship with the USFI and its Israeli representative Michel Warshawski has not been an easy one. 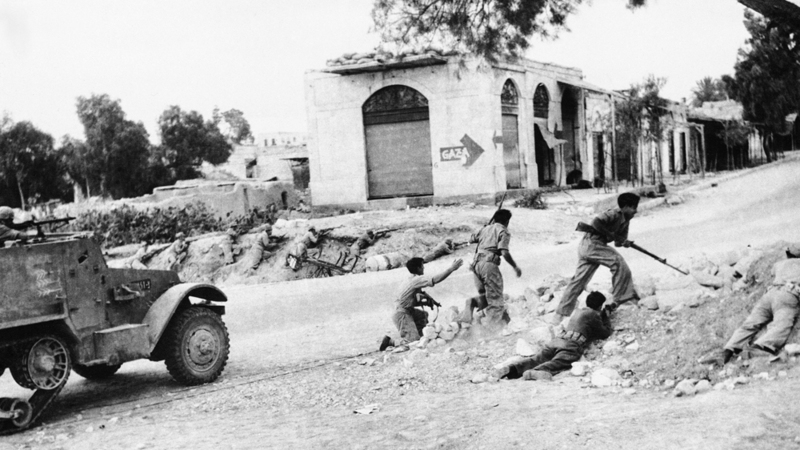 Tikva fought as a member of Palmach, the Zionist shock troops, in what Israel called its War of Independence but which the Palestinians know as the Nakba, the Catastrophe, when over ¾ million Arabs were forcibly dispossessed and driven out of Palestine. Even those who remained were, to a large extent dispossessed and were described under the 1950 Absentee Property Law in the Orwellian phrase ‘Present-Absentees’, in other words although they were present in the country they were still considered, from the purposes of land ownership as absent. Copied below the article in Al Jazeera is an interview by Leo Fischer in International Socialist Review. Both are extremely interesting and well worth reading. 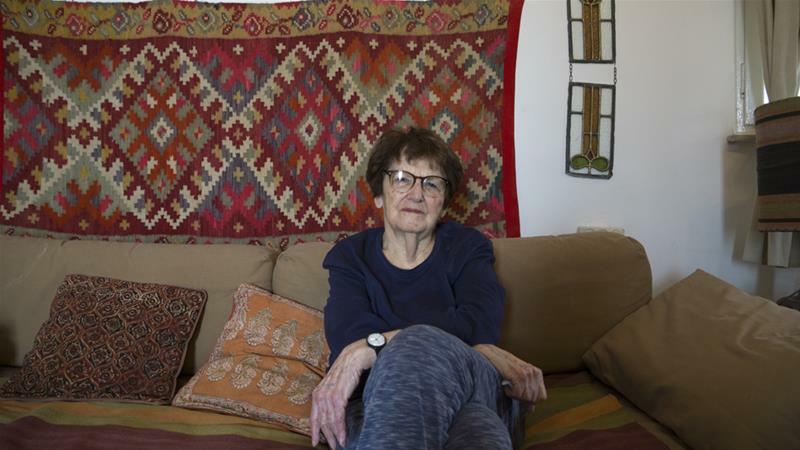 Seventy years ago, Tikva Honig-Parnass terminated her university classes, ignoring her parents' advice, and rushed off to join the Palmach, the elite Jewish military force established in the 1940's to help create a Jewish state in historical Palestine. She was 18. Her unit, the Harel Brigade, played its part in depopulating and destroying Palestinian towns and villages to create the foundations of the Zionist dream. Initially, a wireless operator with the Haganah, Tikva deserted her unit to join the Palmach - "the crowning achievement of the Jewish Zionist youth" - and served as secretary to the commander. 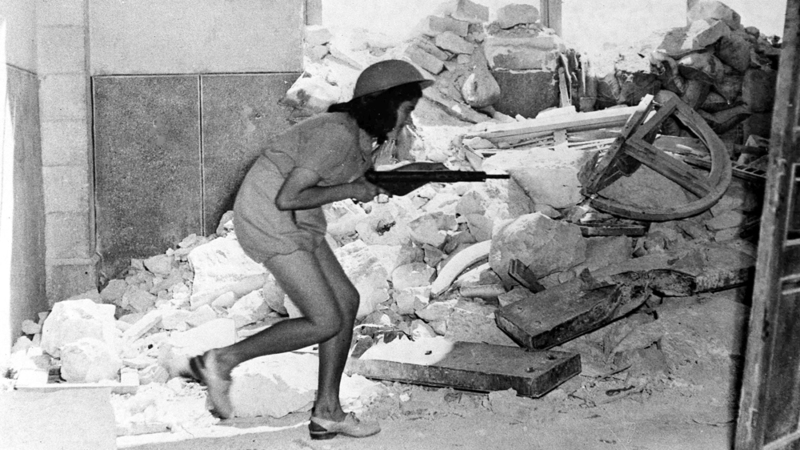 She says women in the Palmach "didn't really take part in real combat" but they followed close behind and witnessed the results. "Villages around me were wiped out. Qalunya, just a few kilometres west of Jerusalem, was on our right on the road from Jerusalem to Tel Aviv. One day it was wiped out," she says and is silent for several moments. Qalunya was one of more than 500 Palestinian towns and villages that was ethnically cleansed by Zionist militia during 1948-49. It was home to about 1,000 people. "Where did they go to? How did they go? We never asked the questions," she says. When asked if anything she witnessed shocked her, she answers: "Nothing. Nothing! That's the whole thing - nothing shocked us." Today, aged 89, Tikva is physically frail but mentally as sharp as nails, and her zeal and determination remain. However, she has directed them for several decades now to deconstructing and exposing via academic journals and articles the crimes on which Israel's foundations are built, and to analysing the psychological mindset that was essential to indoctrinating the 1948 generation she belonged to. "The position we internalised [in the Palmach] pretended that we were not dealing with the development of a military force that was waiting for an opportune time to realise the Zionist plan for the conquest of the land and the dispossession of its Palestinian inhabitants, but rather a 'revolutionary army' of the oppressed," she wrote in an article 20 years ago. A life-long committed Marxist-Socialist who read Marx, Engels, Lenin, Plekhanov, Rosa Luxembourg and others as a teenager, Tikva began to see Zionism as a colonialist enterprise only in the early 1960s, particularly with the establishment of the anti-Zionist political party, Matzpen, or the Socialist Organisation in Israel. Even with this understanding, she notes: "I was still captive to the myths that continued to be cultivated by Israel's social and cultural elites … and above all, to the comradeship in arms which was the emblem of the generation, and which I still saw as an expression of supreme values." It was an unexpected event in 1983 that took her journey to the next critical stage - this time on an "emotional-experiential level": in 1983 her mother gave her letters that Tikva had written to her parents when she was young. One of the first letters she read was dated October 30, 1948. It was written on several sheets of paper that she had found in an abandoned petrol station. The letterhead read in Arabic and English: "Ahmed N Sharabti, Agent of the Shell Company, Bab Al-Wad Artouf Station, PO Box 712, Jerusalem, Palestine." The petrol station was in a village that she used to retreat to for peace and space, she recalls, wandering through the empty - emptied - Palestinian homes. "Even in the kitchens, there were things that people had left in their rush to flee. I loved going to this village on my own, having it to myself. I often went there in the evenings, during sunset. I never gave one thought to the people who lived there." As for the letterhead, Tikva notes with shock: "I had to have confronted the amber words printed on the top of each page; indeed, I must have known that here was a man who lived and worked, and was expelled or forced to flee by all my glorious brothers in the unit in which I served?" "I had just wiped it the entire memory from my mind, I erased it," she says. "And then it all came back to me when I read that letter." Her ability to dehumanise their victims was consummate, she says. Tikva mentions in the letter many Palestinian women and children whom they had displaced, "starving for bread". Their suffering didn't trouble her at all - but what did were several American Zionists with them who were openly critical of their comrades' disregard. "The letter uncovers an advanced stage in the dehumanisation process and the emotional crippling that my generation had to undergo in order to fulfil the missions which were assigned to them: conquering the land, expelling its indigenous Palestinian residents, expropriating most of their lands and turning them into 'state lands.'" To do this, individual human rights were subsumed by the collective rights of the Zionist state, she says. "I was brought up where the individual didn't have any rights - it wasn't said explicitly but it was confirmed indirectly by the collective and the state as its expression. It's this idea of putting the security of the state over individual human rights - everything is defended and justified as the 'security' of the state." Tikva sees little difference with the 'semi-fascist indoctrination' that shaped her as a child with the prevalent views that shape Jewish Israelis today - myths that remain essential for Israel to justify its dispossession and human rights violations, and to survive as a Zionist state, she says. The system of apartheid inside Israel and exercised in the occupied territories; the blockade of Gaza and the military force used against an imprisoned population; the extrajudicial killings - it's all an essential extension of Israel's founding ideology, she believes. 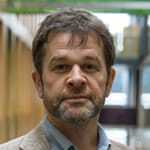 "The argument is that it's not only about security but existence. It is an existential war, they want to eliminate us. You see the absurdity of the whole scene? I don't think any colonialist movement in the world, not even South Africa, succeeded in turning upside down this logic, of making the colonisers the victims." Her journey to "de-colonise" her mind has taken decades. It has resulted in alienation from her community but acceptance from Palestinians and fellow internationalists, as she sees herself. She paints a bleak picture at home, describing the "Daesh-isation" of Israel as it becomes more religiously extreme, and its moves to becoming a "typical fascist state". She cites the boycott, divestment and sanctions (BDS) movement and some "self-contradictions within the Jewish community" as the few signs of hope that help keep her going. And her filmmaker grandson, she adds proudly, whose values confront and challenge those of his society. "But there's no future for him here with his thinking," she notes with acceptance. ISRAELI SOCIALIST activist Tikva Honig-Parnass fought in the 1948 War as a Zionist. Years later she would break with Zionism and join the ranks of the Israeli Socialist Organization, also known by the name of its publication, Matzpen (“Compass”). Matzpen distinguished itself as a Marxist anti-Zionist group that was active in Israel during the 1960s and 1970s. The group called for the solution of the Israeli-Palestinian conflict in a regional framework that would involve the unification of the Arab East under a socialist and democratic banner, while also granting Palestinian Arabs and Israeli Jews equal individual, as well as equal collective, national rights. Matzpen exists today as a network of individuals in Israel and abroad. Its theory and analysis can be found on the Web. After obtaining a Ph.D. in sociology from Duke University in the United States, Honig-Parnass returned to Israel where she is active in various movements, including those against Israeli occupation of Palestinian lands, for Mizrahim (Middle Eastern Jews), and for feminism. Along with Palestinian activist Toufic Haddad, she co-edited the journal Between The Lines, and later they wrote a book entitled Between the Lines: Readings on Israel, The Palestinians and the U.S. “War On Terror”. She is currently working on a new book about the Zionist left. 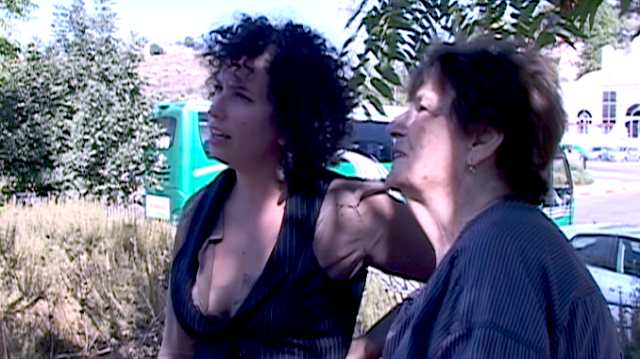 Leo Fischer of Germany’s Flying Carpet Institute interviewed Honig-Parnass in her Jerusalem home on March 4, 2010. The interview is reprinted with permission. YOU STARTED out as a committed Zionist and a veteran of the 1948 War. Could you give a description of the factors that convinced you to break with Zionist ideology? TO UNDERSTAND the reasons and the nature of my breaking away from Zionism, I have to emphasize that I crossed over to anti-Zionism from the camp of the Zionist left, and even the Zionist far left—the “Marxist” party of Mapam (an acronym for the Unified Workers Party), which called for “Zionism, socialism, and fraternity among nations” without seeing the inherent contradiction within this slogan. Besides being a member of Mapam, I was also the secretary of the party in the Knesset between 1952 and 1955, agreeing fully with its hypocritical stance reflected in its calling for socialism on the one hand, and participating in the great theft of the lands of the Palestinians who remained within the borders of Israel after 1948—while they were living under military rule (between 1948 and 1966)—on the other. IT IS often argued that Israel was initially founded as a socialist-inspired state since Mapai, the Israeli equivalent to the German Social Democratic Party or the British Labor Party, was instrumental in creating the state’s institutions. How was that possible in a capitalist framework? THE ZIONIST Labor movement, headed by Mapai, led the Zionist colonial project in Palestine during the pre-1948 period. Its political, economic, and ideological hegemony was the product of a kind of division of labor between it and the embryonic Israeli bourgeoisie. I won’t go into the reasons for this agreed-upon division (they are systematically elaborated by Professor Zeev Sternhell in his book Nation Building or a New Society? The Zionist Labor Movement (1914–1940). It is sufficient to say that the weak emerging bourgeoisie conferred the political hegemony to the Zionist Labor movement, which was responsible for retaining the “industrial quietness” it needed, while collectively building the political and economic infrastructure for the future state. What I would like to emphasize here, because it has implications for the present, is the role that left Zionist intellectuals, academics, and publicists had—and still have today—in articulating the main narrative of Zionism and legitimizing the Zionist colonial project. Claiming to possess the “scientific“ or the moral authority, they have justified the most terrible violations of human rights committed by all Israeli governments—left and right alike. The pre-state Zionist Labor movement created the false theory of “constructive socialism,” which was a local version of nationalist socialism. It called for the collaboration of labor and bourgeoisie—the “productive forces of society”—which contribute to the “collective” interests of state and society. This theory and ideology was easily established after 1948 as the “state-centered” system of values that lies at the center of Israeli society’s culture until this day. What we are dealing with here is an ideology that sees the state and its “security” as the most important value, having priority over any individual interests. BUT LEFT Zionism’s exclusive rule ended years ago. Isn’t all of this a thing of the past now? THE LOSS of exclusive rule by Labor in 1977 and the ascent to power of the right-wing Likud didn’t lead to an end of the hegemonical status of the ideology and narrative composed by the Zionist left. There was no change in the widely accepted image of Zionist left intellectuals, academics, publicists, and writers like Amos Oz as the representatives of consciousness, justice, and equality. The latter, however, continued to legitimize every atrocity and every war that Israeli governments, whether left or right, have launched against the Palestinians or neighboring Arab countries. At the same time, however, they supported the peace plans initiated by Zionist left leaders, whose vision of a two-state solution ensured the continuity of Israeli rule on a fragmented Palestinian Bantustan. The hegemony of the ideological and political principles of the Zionist left continues to this day, because it continued to constitute the various elite groups like the Israeli academy, the legal system, the government bureaucracy, as well as public and national institutions. This hegemony reaches as far as the directors of economic enterprises in the private sector and even the capitalist class itself. Here lies what seems like a contradiction: The Israeli capitalist class has in the last decades supported the Labor governments, which in turn represented its interests. Indeed, it was the Labor government that introduced economic neoliberalism in 1985 as part of a U.S. plan for a globalized economy and military dominance in the Middle East. And, of course, the Israeli capitalist class adopted the U.S.-Israeli peace plans since the Oslo Agreements in 1993, which have been perceived as a necessary condition for the survival of imperial interests in the region. There was never an actual schism between left and right about the central premises of Zionism. As emphasized by historian Avi Shlaim, the only difference between Ben Gurion, the leader of the Zionist Labor movement, and Jabotinsky, the forefather of the right-wing Herut and Likud, was in the sequence of the stages that the project of an exclusivist Jewish state in the entire area of historical Palestine had to take in order to achieve its aims. This basic affinity explains the gradual wiping out of the traditional secondary differences that existed between right and left. Kadima and Likud have adopted the “pragmatism” of the Zionist left, as well as its hypocritical discourse relating to the “peace process.” Beginning with Ariel Sharon, who won the elections in 2001, right and center have declared their adoption in principle of the concept of “dividing the land” and of the “two-state solution”—previously the position of the Zionist Left alone. No wonder Labor can participate in the present ruling Likud coalition alongside the racist Ivet [Avigdor] Lieberman, the chair of Israel Beitenu—the most extreme secular right-wing party—which calls for the “transfer,” i.e., the expulsion of the Palestinian citizens of Israel. The wide adoption of Labor positions, however, signifies a rather pyrrhic victory for the Zionist left, since due to this success it lost its rationale for a distinct political existence and has become an altogether irrelevant political force today. WHAT WAS the personal impact of left Zionism on you and at what point did you begin to challenge this ideology? I WAS in fact the prototype of the pre-1948 generation, that is, someone who was committed blindly to the dominant Zionist left discourse, namely, “our” historical right to “return” from exile to the entire “land of Israel” and to regain its sovereignty in an exclusivist Jewish state. In my youth prior to 1948, I had read all of the Marxist literature published in Hebrew and never saw any contradiction between it and my own Zionist position. For my generation, the Palestinians were considered a kind of nuisance that should be removed from the way leading to the foundation of the Jewish state. 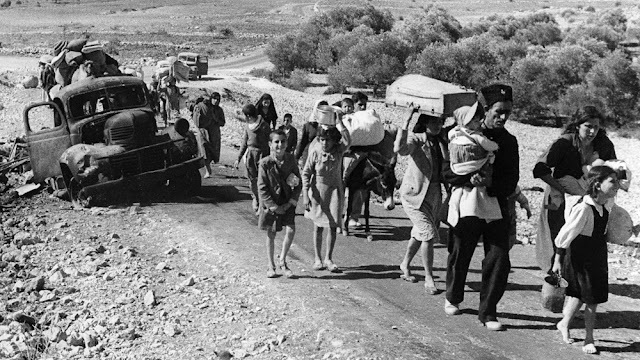 This self-dehumanization, as well as the dehumanization of the Palestinians, prepared us for accepting the 1948 mass expulsion of the Palestinian people that was committed under the leadership of the Zionist Labor movement—Mapai and Mapam. The glorification of the concept of a Jewish state permitted the prevailing indifference of my generation in taking part in the 1948 ethnic cleansing without any emotion or doubt. In order to comprehend the difference between Zionist left semi-fascist statism on the one hand, and real liberalism on the other, I will give you a short story. I served in the Palmach unit, which conquered the area that included the Palestinian villages of Saris, Beit Jibrin, and Zakariya among others, and expelled their residents. I have a letter I wrote to my parents in October 1948, which was written on the stationery of the Palestinian owner of the Har Tuv gas station, who was expelled just a few days before. Typically, however, I don’t even reflect on this fact. In my letter I’m writing about two Jewish-American volunteers, liberal Zionists, who had not been brought up in the ideology of the Zionist Labor movement. They were among many American Jewish veterans of the Second World War who came to support the Yishuv (the pre-1948 Jewish community in Palestine) military forces in the 1948 War. One evening, they came from a mission shouting that they met on their way back to the base Palestinian women and children starving to death and begging to go back to their villages. They added angrily that, “if this new state cannot take care of its Palestinian inhabitants, then it has no right to exist.” And me, a left Zionist, who claimed to be a Marxist and an internationalist wrote: “Dear mother and father, I’m sick and tired of these American ‘philanthropists.’” Notice that I used the expression “philanthropists” rather than “humanists.” So this is just an example of the difference between liberalism, universalism, and internationalism on the one hand, and Zionist “left” values on the other. After the war, I went back to the Hebrew University in Jerusalem to continue my studies. I remember being in a student hall one day when someone burst into it saying that Mao Zedong had proclaimed the People’s Republic of China. We were cheering and clapping at the news, while at the same time a military government was being imposed on the Palestinians who remained after the 1948 War under Israeli rule and their lands and property were being confiscated. At the same time those who were expelled and attempted to cross the border back to their homes were shot by the Israeli security forces. My Stalinist approach to the issues of Israel and the Middle East had even been strengthened when I quit my post as secretary of Mapam in the Knesset and moved closer to the Communist Party. Accordingly, I continued justifying the UN partition plan and the founding of the Jewish state, which was supported by the Soviet Union, and whose satellite, the Communist Party of Israel, had signed the Declaration of Independence. Some years later, in 1961, the book Peace, Peace And No Peace, written by Akiva Orr and Moshe Machover, came out. Without access to any official files, which were released over two decades later, and basing their study only on information published in newspapers and professional magazines alone, they succeeded in proving that Israel was indifferent to the will of Arab states to make peace with it and systematically ignored their peace proposals. This was a big shock for me, since the very idea that the state of Israel refused to make peace was unthinkable, especially when the ruling propaganda depicted the Arab states as aspiring to destroy Israel. However, the book convinced me to reject the prevailing misleading discourse spread by the establishment. 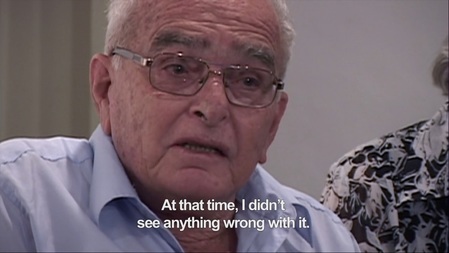 This was the first doubt that appeared in my mind, shaking my firm belief in a peaceful Israel, and preparing me to accept wholeheartedly Matzpen’s political position when it was founded in 1962 by a group of about fifteen people headed by its four initiators, among them were Moshe Machover and Akiva Orr. The meeting with Matzpen was a kind of revelation for me. It wiped out all the misleading beliefs, which until then had been part and parcel of my being and self- identity. I learned that Israel was a colonial-settler state—a vehicle for implementing and advancing the Zionist project, which—long before the 1948 Nakba [Arabic for catastrophe]—aimed at the expulsion of the indigenous residents of Palestine. I accepted the regional perspective of Matzpen, which emphasizes Israel’s role as the enforcer of imperialist interests in the Middle East, and which places the ultimate resolution of the conflict outside the Palestine box. The connection Matzpen made between Marxism, class analysis, anti-imperialism, and anti-Zionism has never before—and never again—existed among the Israeli left. The Communist Party, despite its non-Zionism, failed to draw the connection of the first three elements with the last. It had signed the Declaration of Independence in 1948 and saw the alliance of Israel with imperialism as somehow a matter of choice rather than a central characteristic of Zionism and the state of Israel. Until this day, the Communist Party has not put the challenge of the Jewish state at the center of its agenda. It has focused its struggle on achieving equal citizenship and individual rights for Palestinian citizens, rather than that for national collective rights that the Jewish Zionist state does not and cannot recognize. DID MATZPEN achieve a degree of significant influence in Israel? What is the status of Jewish (i.e., non-Palestinian) anti-Zionism inside Israel today? MATZPEN WAS the first group to come out against the 1967 War, and was at the forefront of the protest movement against the occupation that spread in the first years after the war. This gained Matzpen support among a rather substantial number of young people. Part of this support was then due to the impact of the 1968 student uprising in Europe and the civil rights movement in the United States. Matzpen’s political positions were seen as the right translation of these uprisings to the local version of the oppression of the Palestinians. However, the adoption of the comprehensive anti-Zionist and class-based perspective of Matzpen has been rather limited. The only real full impact of Matzpen was on the militant uprising of the Mizrahim (Jews from Middle Eastern countries) Black Panthers, which took place between 1970 and 1972. 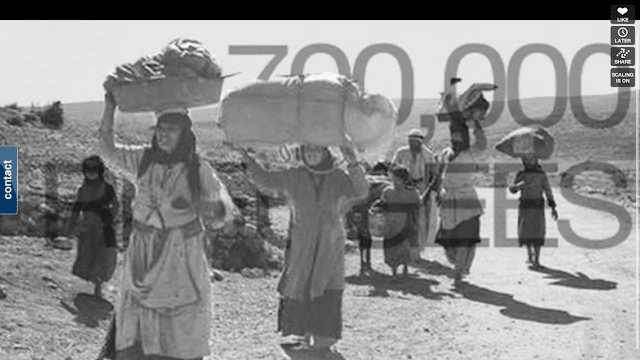 They were second-generation Jews from the Arab countries who had been brought to Israel in order to fulfill the urgent need of the newly born state to settle the “empty” occupied territories the Palestinians had been expelled from, as well as to increase the numbers of the Israeli army. The Mizrahi immigrants were in fact dumped in places without any real economic planning or productive employment, thus creating the “development towns” which subsequently would become the most neglected Jewish communities in the country. “Emptied” neighborhoods in originally Palestinian or “mixed” towns, were also resettled with Mizrahi newcomers, which soon enough turned into pockets of poverty as well. Under the ideological influence of Matzpen, a young group of Mizrahi Jews in an ex-Palestinian neighborhood on the outskirts of Jerusalem, Musrara, began to articulate their rage against their systematic discrimination by the Zionist establishment in class terms. Matzpen formed not only their ideological perspective, but also provided them with logistical support. This was truly a movement with massive potential. But they were crushed by the authorities, who jailed their leaders and activists and harshly persecuted them after their release from prison. Moreover, the Black Panthers’ anti-Zionist and anti-capitalist message was twisted since then by identity and culturalist-oriented Mizrahi activists and post-Zionist academics. For morally conscious intellectuals since the mid-1990s, Matzpen stood out as a role model. Since then, some of the critical among them (post-Zionist sociologists like Uri Ram and Yehuda Shenhav) made sure to pay homage to Matzpen as the first to depict Zionism as a colonialist movement. However, by taking Zionist colonialism out of the anti-imperialist framework and the class analysis of Matzpen, they entirely distorted its approach and failed to create any alternative to Zionist ideology and praxis. Thus the full impact of Matzpen has been materialized mainly among genuine anti-colonialists, socialists, or democrats, both in Israel and abroad, who are willing to apply its principles for a full rejection of Israel as a Zionist state. As I have already mentioned, anti-Zionists are considered by left Zionist intellectuals, as well as by wide strata in Israel, as traitors who challenge the very existence of the state. The discourse around this issue blurs and confuses the idea of the physical existence of the Jewish citizens of this state with that of its existence as a “Jewish state.” Moreover, the Jewish identity of Israel has become synonymous with the notion of its “security” and thus further deepens the commitment of most progressive Israelis to its racist nature as well. MUCH IS heard in Europe about post-Zionism. What are, in your opinion, its strengths and/or limitations? YOU HAVE to distinguish between the school of new historians and critical sociologists on the one hand, and those I depict as post-Zionists on the other. The first group refuted some basic narratives of Zionism regarding the 1948 War and the Nakba, but without challenging the very nature of the Jewish state as an ethnocratic, colonial-settler state (Ilan Pappé is an exception). On the other hand, the post-Zionists had the intention to disclose and refute Israel’s assumed structural inequality as reflected in the discrimination of its Palestinian citizens, as well as other Jewish “minority groups.” Their theoretical base, however, was postmodernism and its related fields—multiculturalism, postcolonialism, and identity politics—which they have wrongly used for their analysis of the Zionist state. Post-Zionists have not concentrated on a thorough analysis of Israel as a colonial-settler state. They have not been anticapitalist or anti-imperialist, as they never challenge economic neoliberalism or Israel’s role in serving U.S. interests in the region. ARE WE witnessing, in your opinion, a radicalization or an erosion of Zionist ideology? ZIONIST IDEOLOGY, its discourse and implementation in policies and laws, has enormously radicalized. When its false self-identity as a peaceful state is being crushed on a daily basis, there is a need to strengthen the commitment of the people to Zionism. A main feature of this stage of Zionism is the overt confirmation of Matzpen’s thesis about the regional nature of the Israeli-Palestinian conflict. The U.S.-Israeli quest for hegemony in the Middle East and the “war against terror,” aimed at subduing “disobedient” states like Iran and Syria, and crushing Islamic resistance movements like Hezbollah and Hamas, are at the center of public discourse. The establishment, supported by wide strata—including the Zionist left—has been involved in a determined effort to describe this war as a necessary condition for the survival of the Zionist Jewish state. Indicative of the establishment’s awareness of the role that Zionism plays in harnessing Israelis to support its war policy, is the opening lecture by Benjamin Netanyahu in the last annual Herzliya conference that gathers Israel’s political, economic, and military elites for discussing the most urgent topics that are included in the present agenda of the state. Netanyahu’s lecture focused on the exclusive Jewish right to all of the land of Israel, i.e., historical Palestine, and the need to strengthen the citizens’ Zionist consciousness. I will just give you an example from my own experience: Last year, I went to a ceremony at my grandson’s school in northern Tel Aviv, a known bourgeois, secular, and liberal area, where most people vote for “left” Zionist parties—Labor or Meretz. It was a commemoration day for all fallen Israeli soldiers, where all the pupils and their parents, as well as the bereaved families, were present. The event was opened when a boy wearing a kippa [Jewish skullcap]—in a supposedly secular school—read from the Bible that God said to Abraham, “Look from the place you are there, to the north and south and east and west, because all the land you see, I will give to you and your offspring until eternity.” This scene just shows the strengthened tendency in education to deepen the commitment to Zionism and the aggressive war policies of the state of Israel. To open the memorial day with this promise of God to Abraham is a message given to the children that you must fight fiercely in the future inevitable wars against the Palestinians and others because this land, which is exclusively ours, is in danger. ISRAEL IS referred to as “the only democracy in the Middle East” and the civil rights enjoyed by Israel’s Palestinians are indicated as a proof of this. What is the situation of Israel’s Palestinian citizens? Zionism has enforced its government on different parts of Palestine in different historical stages. Hence the different levels of civil rights and civil status of the Palestinian inhabitants of these parts—from no civil rights in the West Bank and Gaza, to formal citizenship granted to the remaining Palestinians after the Nakba of 1948, something that was a condition imposed on Israel in order to be accepted as a member of the United Nations. Therefore, the discussion of Israel’s democracy must include both the obvious and observable apartheid regime in the 1967 Occupied Territories—to which the left abroad is willing to admit—and the somewhat masked apartheid within the Green Line (“Israel Proper”), which they are reluctant to depict as such and still regard as a democracy. ISN’T APARTHEID a bit exaggerated? The Palestinians in Israel are after all able to vote for their representatives in the Knesset. INDEED, ONE should emphasize Matzpen’s thesis, which was elaborated by Moshe Machover, regarding one essential difference between the Israeli version of apartheid and that which prevailed in South Africa. Accordingly, Zionism, like the North American or Australian species of colonization, aimed at eliminating the native population instead of keeping them as a reserve of cheap labor power. Unlike the Blacks in apartheid South Africa, Palestinians were considered dispensable, which explains the notion of mass expulsion looming in Zionist thinking long before 1948. This “solution” is still adopted by Israeli political and intellectual elites, as explicitly expressed by historian Benny Morris. However, until the right circumstances appear, a consistent policy of ethnic cleansing in slow motion—physical, political, and social—has been taking place all over historic Palestine, albeit with different methods and levels; by disconnecting Palestinians from their cultivated lands, banning their access to basic resources of livelihood, not to mention the devastation and massacres which took place in Jenin and Gaza. The characteristics of the structural discrimination against the Palestinian citizens qualify Israel as an apartheid regime that is similar to that of South Africa, albeit, as said, intentionally camouflaged. Unlike apartheid in South Africa, which openly declared its racism in all walks of life, what we have seen until recently in Israel is a kind of racism that avoids any racist language that explicitly points to the discrimination against Palestinians. The legal, political, and ideological infrastructure of this form of apartheid regime was laid down during the first decade of the state by Zionist Labor governments in which the “Marxist” party of Mapam was a senior member. Thus, while the Jewish citizens are recognized as having a national identity, Israeli law strips Palestinian citizens of their national identity and reduces them to a mere ethnic minority, the “Israeli Arabs.” This in itself is the backbone of the discriminatory regime, even before any statement is made about discrimination. In Israel, various fundamental rights—access to land and housing, for example—are dependent upon national identity, not the lesser category of mere citizenship. Even the formal citizenship granted to the Palestinians who survived the Nakba in 1948 is systematically stripped of any solid guarantee for political and individual rights. Thus, for example, political parties and individuals, if they don’t recognize the Jewish state, and even use the right to challenge it by democratic means, are seen by the Shabak (the internal security service) as a security threat to the existence of Israel and risk being barred from participating in the elections for the Knesset. The right to citizenship or even residency is denied to a Palestinian spouse from the 1967 Occupied Territories or other Arab states. THE ISRAELI-Palestinian conflict is a highly divisive issue among the German left. Some leftists have come to the conclusion, given the shift in the region for Islamic movements like Hamas and Hezbollah (and the subsequent weakening of the secular nationalists and the left) that supporting Israel’s “right to exist ” is a necessary step to defeat “reactionary” or “medieval anti-Semitic” tendencies. What is your response to that? “Israel’s right to exist” is the right of U.S. imperialism to consolidate its political, military, and economic rule in the Middle East. You cannot separate Israel as the tool for advancing the Zionist colonial project and its apartheid regime from its role as the enforcer of U.S. imperialist interests in the Middle East. Israel is the one solid, reliable supporter of the United States, its very own armed watchdog against any state or movement that challenges U.S. imperial interests in the region. As such, its total war against the Palestinians is part and parcel of U.S. strategy to abolish any call for genuine national independence. Indeed it is sad that the anti-imperialist struggle in the region has not been led by left forces. However, the left should recognize that Hezbollah and Hamas are by now the only organized forces that fight against Zionist Israel, the United States, and the collaborative Palestinian and Arab leaderships. Hezbollah plays the most genuine role in fighting for the national independence of Lebanon. If not for Hezbollah, Lebanon would be ruled by now by the Lebanese fascist Phalange—indeed “secular”—in collaboration with Israel and the United States. Hamas was elected to power through the most democratic general elections. The joint American, Israeli, and Palestinian Authority total war against Hamas is in fact a war of ethnic cleansing against the entire population of Gaza. This is the nature of the war, cynically claimed to be waged for the “right of the state of Israel to exist.” Therefore, the position of some in the German left regarding Islamist movements like Hezbollah and Hamas is in fact nothing else but a call to support the U.S.-Israeli efforts to intensify the fragmentation of the people throughout the Middle East. In this case, to prevent the reunification of Gaza and the West Bank, to which Hamas aspires, and to delegitimize Hezbollah and its integration into the Lebanese political system. The right of Israel to exist is in fact the right of the Zionist apartheid state to continue its project of eliminating the Palestinian people and subduing the Arab nations in the service of Western hegemony over the region. One of the research institutions reported a dramatic rise in events defined as antisemitic during “Cast Lead” [in Gaza]. It is doubtful if the motives to all, or even to most of these events were antisemitic. It stands to reason that regarding part of them, we are witness to escalating anti-Israeli [attitudes]. Past antisemitism was not dependent upon the objective deeds of Jews. On the other hand, there is a clear and consistent connection between hostility to Israel and the deed it commits. It is not by chance that anti-Israeliness is a phenomenon which appeared in the last generation: It is a reaction to the deepened occupation [of the 1967 territories]. See also Reflections of A Daughter of the "'48 Generation"